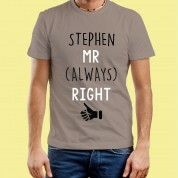 This comical t-shirt makes a great gift for a boyfriend, fiancé or husband! 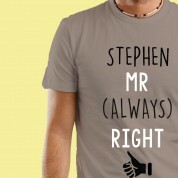 Personalised with his name, it reads “Mr (Always) Right” with a small graphic of “Thumbs up”. 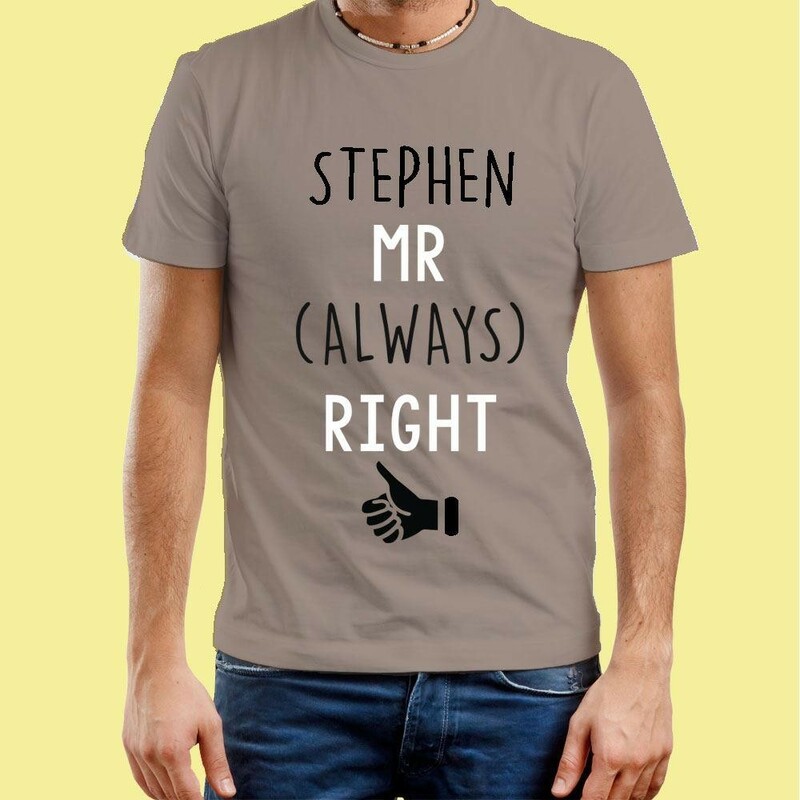 Not only will it make a great Birthday gift, new husband or Fiancé will love to receive it in time for his stag celebrations. 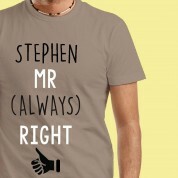 Look out for a matching Mrs (Always) right t-shirt for her too...great as a set! Our t-shirts are designed, personalised, printed and packaged by our in-house team to deliver the best quality product to our customer.